People say you can’t choose your family. I disagree. When the Biscuit was born, my family grew instantly…. not just because I had a new baby, but because I recognized who my family was. My husband and I had must moved back from Amsterdam and settled into our place in Benicia. The Buena Vista house belonged to my dearest friend William who had been my friend for 16 years. William generously hosted our wedding at his house the previous year and was instrumental in getting us settled. At the end of my pregnancy, my husband had to return to Amsterdam to finish up work so he missed a few Lamaze classes. William graciously offered to step in as my back up coach. He even studied up on the birthing process. When my labor began, William met us at the hospital and knew exactly what was going on. He knew all the stages, the terminology and even bonded with the expectant dads we had met in the class. We had an excellent birth experience at Sutter Solano in Vallejo. We were given a huge suite-type room with couches and plenty of room for my entourage that included William, my sister, my husband’s brother and my friend Carol. I was in labor for 24 hours which sounds horrible but half of that time I was on an epidural… which was amazing. I highly recommend it for your next party. Most of the crew stayed the entire time and William was especially supportive. It was great having two coaches because they were able to take turns tending to me and I was never alone. When my labor hit the half-way point, my pain level peaked so it was time for the epidural. William was on duty so it was his job to hold me still while the doctor stuck a huge needle into my spine. It was stressful because I was facing the monitor and could see a mountain of a contraction coming. William has a bear-like stature, I call him Shrek. He successfully used his giant bear arms to hold me absolutely still and keep me calm during the procedure. I rested peacefully the remainder of the night and was ready to push the next morning. My husband, William and my midwife Becky were the dream team. To this day, William refers to himself as my right stirrup. After only an hour of pushing, the Biscuit was born. Over the years, William has been part of my life. He accompanied us to Mexico when the Biscuit was six months old. Ten months later we took Biscuit to Burning Man and William loaned us his moving truck Bertha. He met up with us there so we got to spend some quality time together. He even took the Biscuit for an afternoon to give us a break… it didn’t hurt that baby-Biscuit was a total chick-magnet. 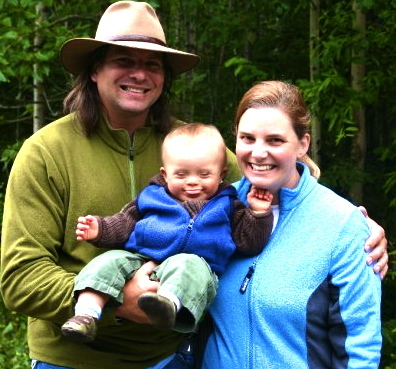 When William found the perfect woman, Katie, he began a family of his own. He called me right away when his first son was born. Had I not been living in Pacific Grove at the time, I would have been there in person. Although I had been gone for a few years, we were still like family. When my husband and I separated, I was of course distraught. 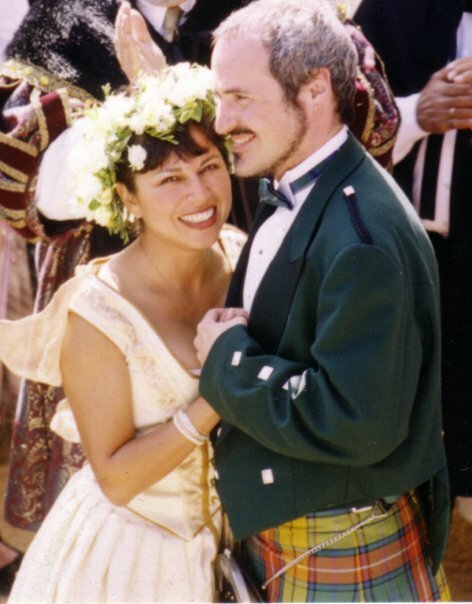 My pain peaked at Burning Man that year and I needed to be with family, so I sought out William. He had known me at my best, my worst, my happiest and my most vulnerable, so I could not think of a better person to lean on. 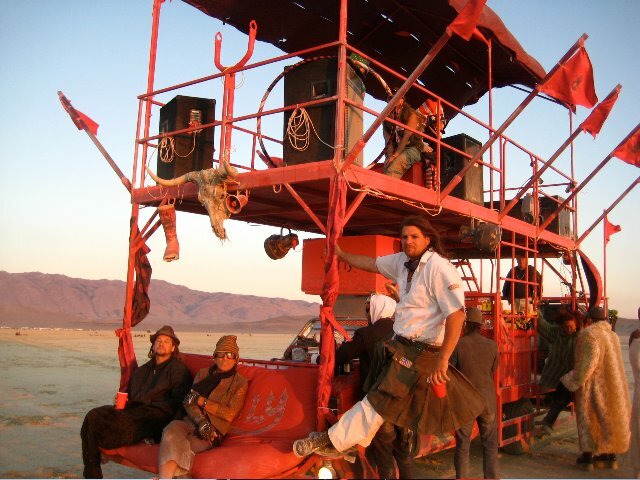 William and his crew (Surly Camp) took me in the night, we spent the night cruising the playa on The Bird. Once again, William held me still and kept me calm as I saw the mountain of pain approaching. He made it easier by simply saying, “It’s time to come home.” He was right, it was time. Now that we are back, the Biscuit and I regularly spend time with William, Katie and their three cuddly boys. William’s boys absolutely love the Biscuit, who is really great at wrangling them. In fact, if I show up alone, the boys always ask for the Biscuit. When times are good, we seem to have lots of friends… but when times are bad, those friends that get you through your worst of times… they are your family.